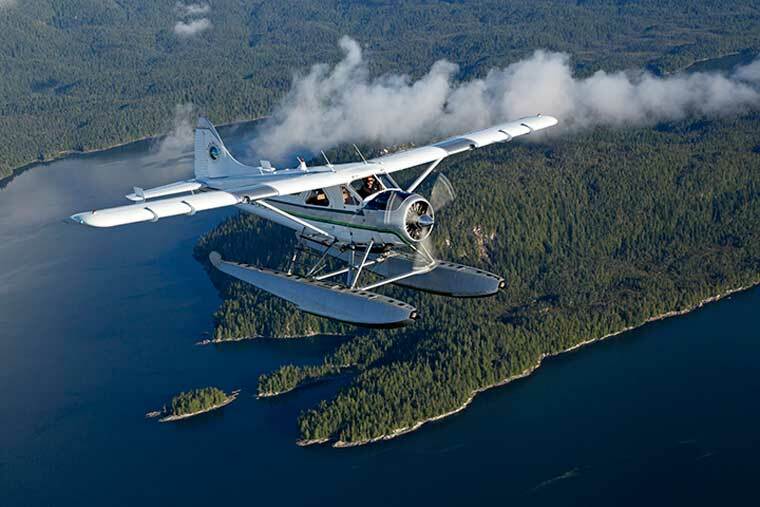 Let SeaWind Aviation takes you westward out of Ketchikan by seaplane towards Prince of Wales Island, the third-largest island in the United States. 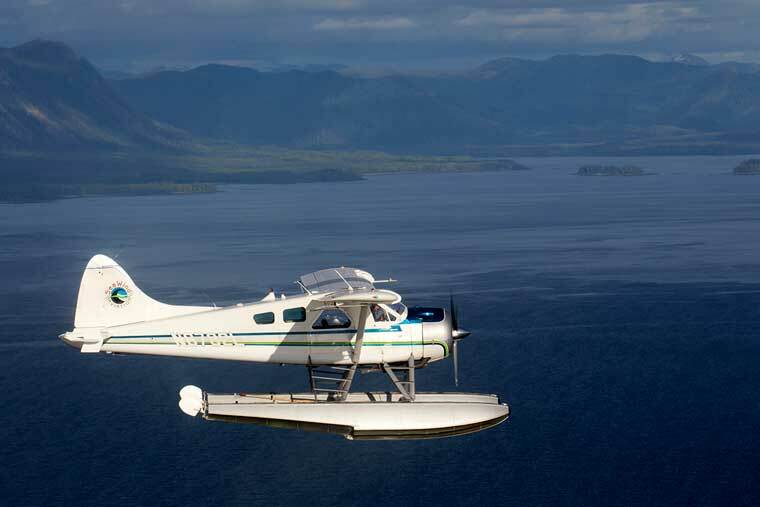 On the 20-minute flight, you will see the islands and waterways that make up this portion of the Inside Passage and your pilot will narrate along the way. 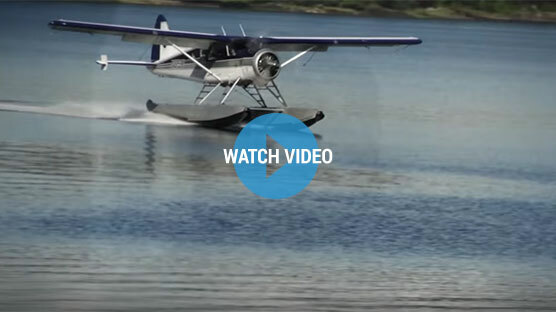 After you touch down in Polk Inlet, a long finger of saltwater where Dog Salmon Creek meets the sea, you will meet your personal Alaska Bear Guide. Your guide will drive you about one mile down a United States Forest Service (USFS) road to a trailhead. 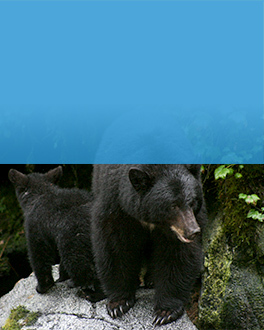 You will be safely escorted down the trail (approximately 250 yards) to the Dog Salmon Creek Bear Viewing platform. It is in this creek that four species of salmon come to spawn and drives the bears to the area. Along the trail, your guide will point out the flora, fauna, berries and trees as well as any wildlife you encounter. 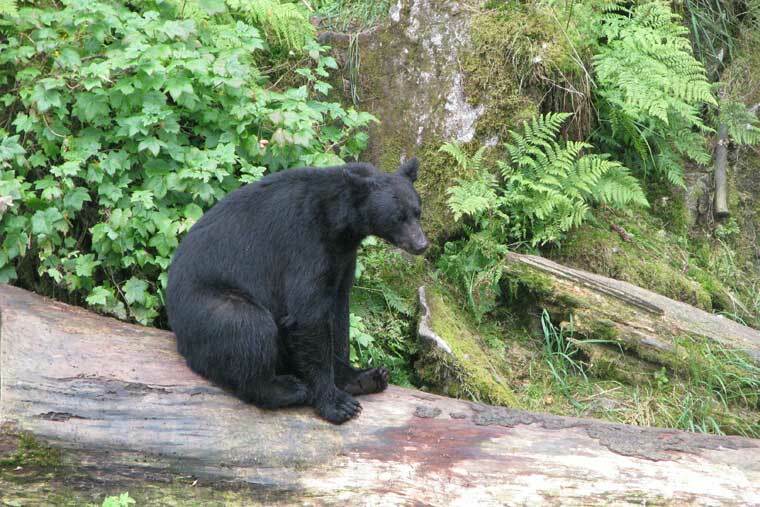 The Dog Salmon Creek Bear Viewing observatory is maintained by the USFS whose policy allows bear tours from late July into mid-September. 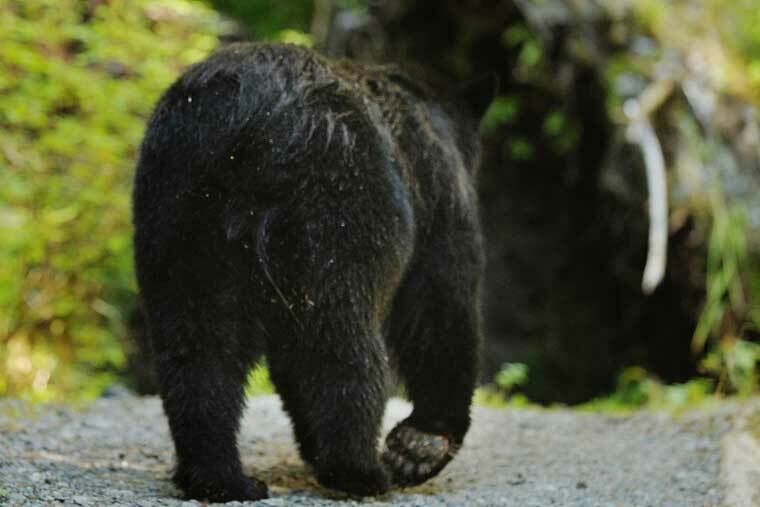 We operate our bear viewing tours from the beginning of August through early-September in order to maximize the peak of the bear viewing season. To protect this delicate habitat, only a small number of visitors are allowed on the platform at one time and there is a restriction for the total number of visitors per day. As a result, you are guaranteed an intimate and awe-inspiring experience. 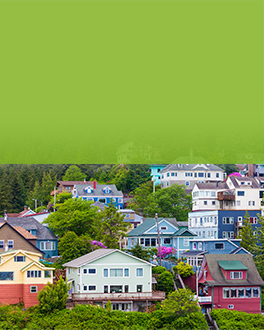 An opportunity to visit this location is an opportunity not to be missed! It is as advised to book this tour as early as possible due to this strict availability. 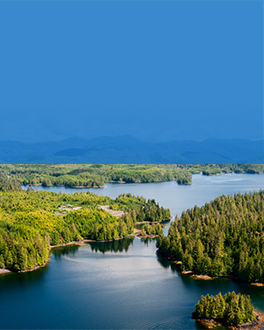 Visit a USFS bear viewing facility on Prince of Wales Island. There is a high likelihood of seeing wildlife. 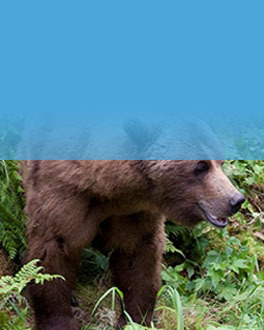 An experienced Alaska Bear Guide will accompany you. 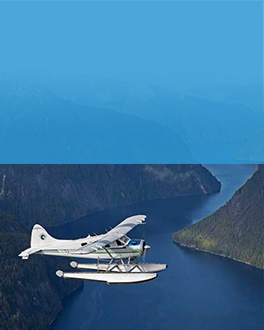 The trip includes a round trip flight over the Inside Passage. 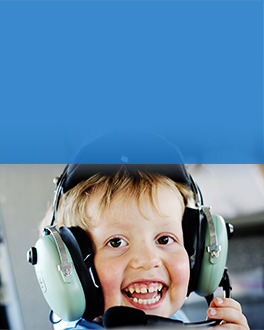 Tour length is 3 hours with up to 45 minutes of flying. Click on image to the left to watch a video of this tour. 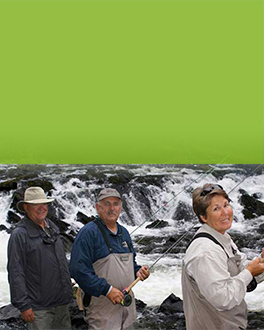 Upon arrival to the platform, you will be at a prime vantage point to see Alaska’s REAL fisherman! First, watch the true champions of nature – the 4 species of salmon battling in the last part of their life, to arrive upstream to spawn. They are fighting not just the swift current but also the bears. 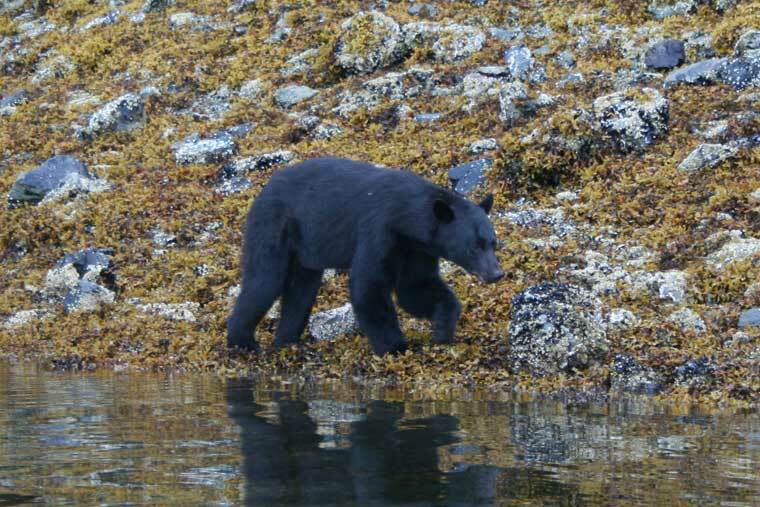 See the black bears that are fattening up for winter, plunge into the rushing water, jaws wide to eat the wild salmon. Besides bears feeding, you are also likely to see Bald Eagles and Ravens feeding on salmon scraps left over by the bears. Your naturalist / guide will answer any questions you have about the local wildlife, flora and fauna.